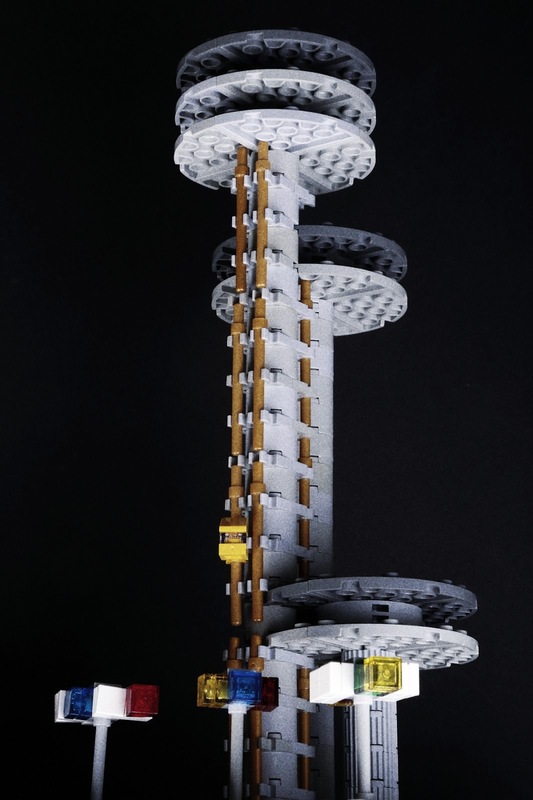 Another Lego Ideas project has passed the ten-thousand supporters mark, and thus is now in the pool for review and consideration for production as a real Lego set. 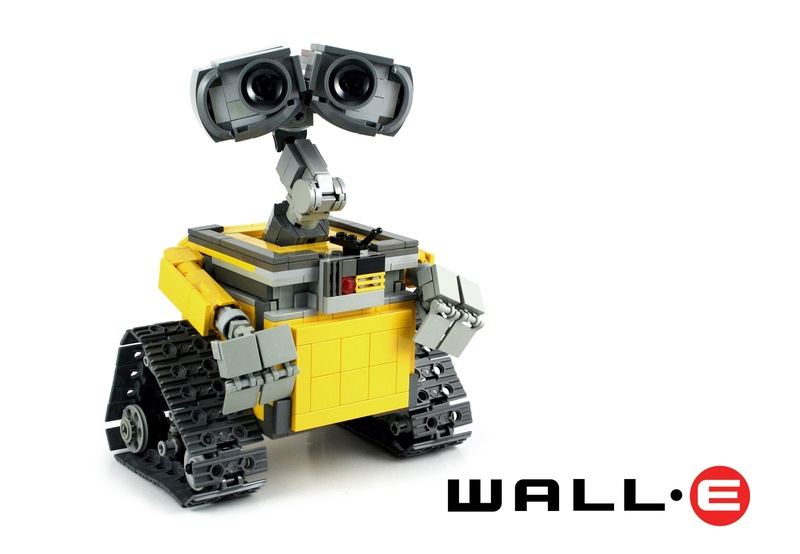 That project is WALL•E, built by no less than one of the animators from the film, Angus MacLane. 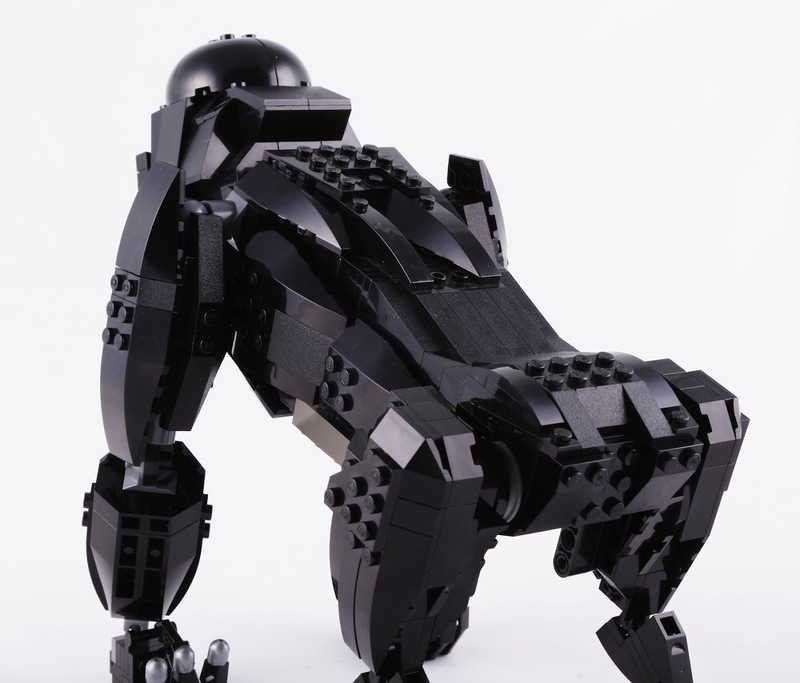 MacLane started building the Lego version of model while working on the film, and refined him over the course of the production. 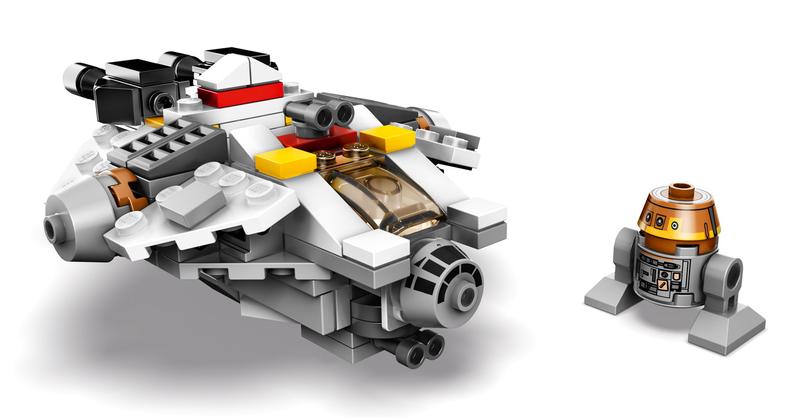 The version pictured here is his most recent iteration, and I hope pretty much exactly what Lego delivers as a set, as it's pretty spot-on. 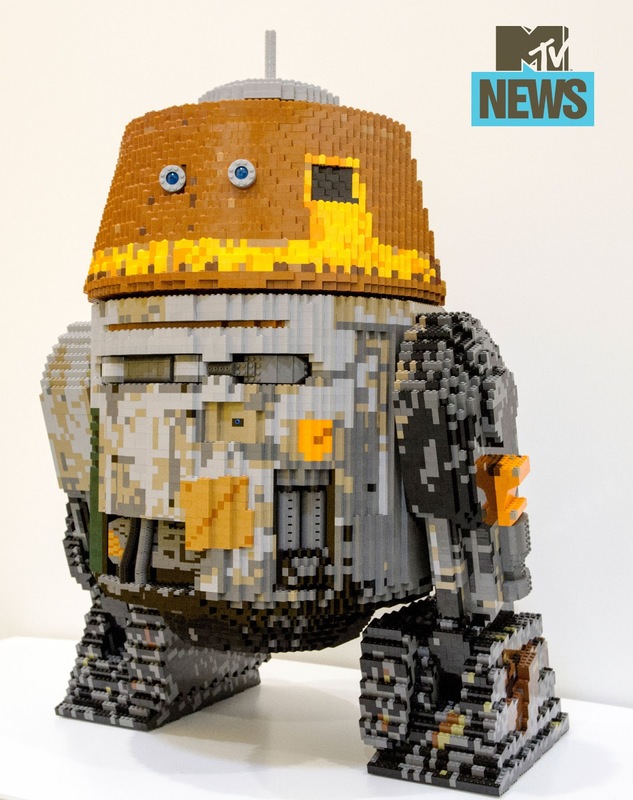 I think this project must have a pretty good chance of going to production: It's bang on brand-fit, got the weight of someone associated with the film being linked to it, and Lego already has a relationship with Disney. I'd certain buy one! You can see more photos of WALL•E on MacLane's Flickr gallery, the newer version of the model is at the top of his gallery, and the older version can be found in an album. 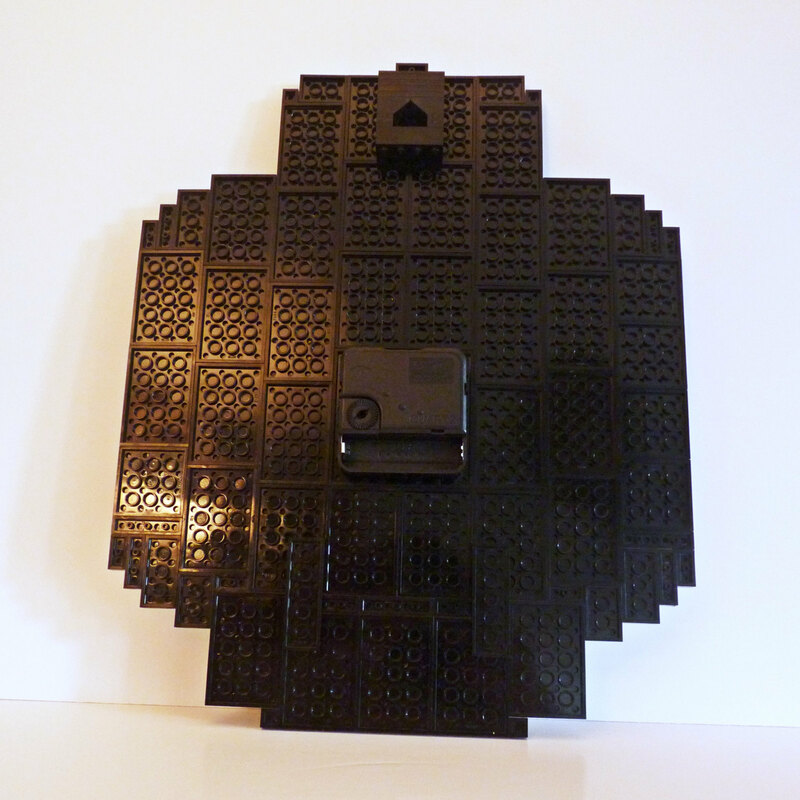 Lego Ideas King Kong update: New body! Continuing work on updating my King Kong model for my Lego Ideas project, I set out to improve his back legs this week, but before I knew it that lead to me reworking bottom, arms, and chest too! My initial objective was to redesign his legs to allow him to stand upright. Kong does this a few times in the films, most notably right at the top of the Empire State Building, so I felt it was an important pose for the model to be able to pull off. The mark I Kong could almost do it, but because of the shape of his legs and the body around them, they had to be twisted in at a weird angle. It was also perilously unstable! To make the pose possible I decided to use a completely different hinge, the really strong Technic beam joint found in AT-AT walker sets. This made for a really stable joint, but also meant completely redesigning the leg and adjacent body to build the beam ends in, in place of the brick connected joints I used previously. I also made the legs come out from the center of the body slightly further, so they have more freedom of movement without hitting the sides of the body. All the rebuilding also meant Kong’s bottom was destroyed, so I completely redesigned that to look better, and fit around the new joints. Lego have released a new animation, "The Aggravation of Smaug", to show off the new Smaug model coming later this year in the recently revealed The Hobbit set 79018 The Lonely Mountain. The full line-up of the next Collectable Minifigure series has been revealed. Argos added a listing, complete with an image of all sixteen new characters, which are (as named by Grove Bricks): Video Game Guy, Prospector, Rock Star, Swashbuckler, Jester, Fairytale Princess, Spooky Girl, Pizza Delivery Man, Hun Warrior, Genie Girl, Lifeguard, Wizard, Dino Tracker, Space Miner, Battle Goddess, and Piggy Guy. Another pretty cool selection, with lots to appeal, whatever your preferences. Personally I'm most drawn to historical characters this time around, especially the Battle Goddess and Hun Warrior. A shame though that Lego are persisting in presenting women as a minority group... (five out of sixteen here). Argos are listing this as Series fourteen, which would mean The Lego Movie and The Simpsons series are being counted as twelve and thirteen (rather than being separate from the series count). An earlier promo image posted on a Japanese Lego blog, which gives us another look at a few of the new characters, seems to describe them as Series 12. I guess we'll have to wait to see the packaging to find out what number Lego have decided. 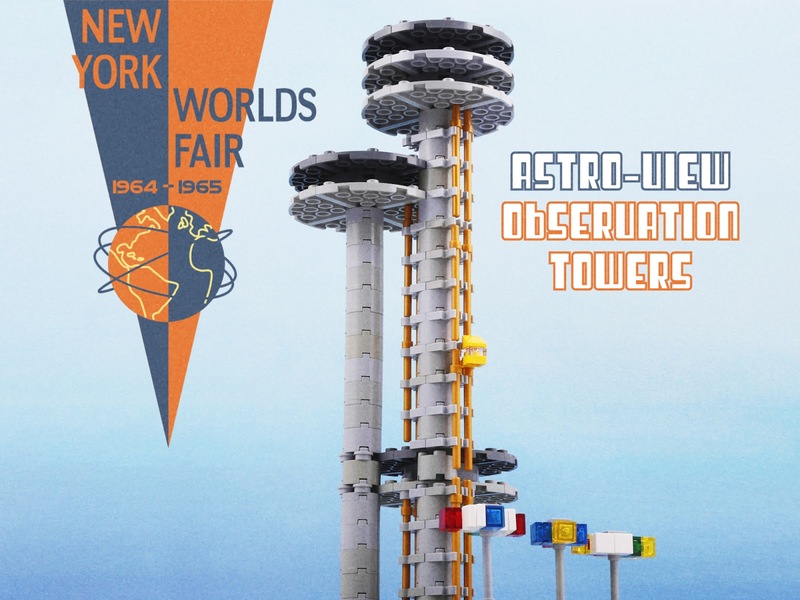 If you're a reader of my Star Trek site, The Trek Collective, you might recall my Drex Files in Exile post on the New York World's Fair, which included the iconic Astro-View towers, buildings which were transplanted onto a Star Trek matte painting and made forever a part of the future. Later their flying-saucer-esque design prompted them to appear in Men in Black too. Well having become familiar with those buildings, I found myself starting to build the Astro-View towers out of Lego recently. A little while later I had created the model you see here. My model includes a working elevator (in so much as you can clip it to any point on the rails it would have glided between back in it's operational days), and a row of luminaires (the distinctive street lights that could be seen throughout the fair). Pleased with my little model I also decided to submit it to Lego Ideas, where, if ten-thousand people support the project, Lego might consider producing it as an actual Lego set. So if you like these buildings, in the real world, Star Trek, Men in Black, or for some other reason, please do pop over to Lego Ideas and add your support. 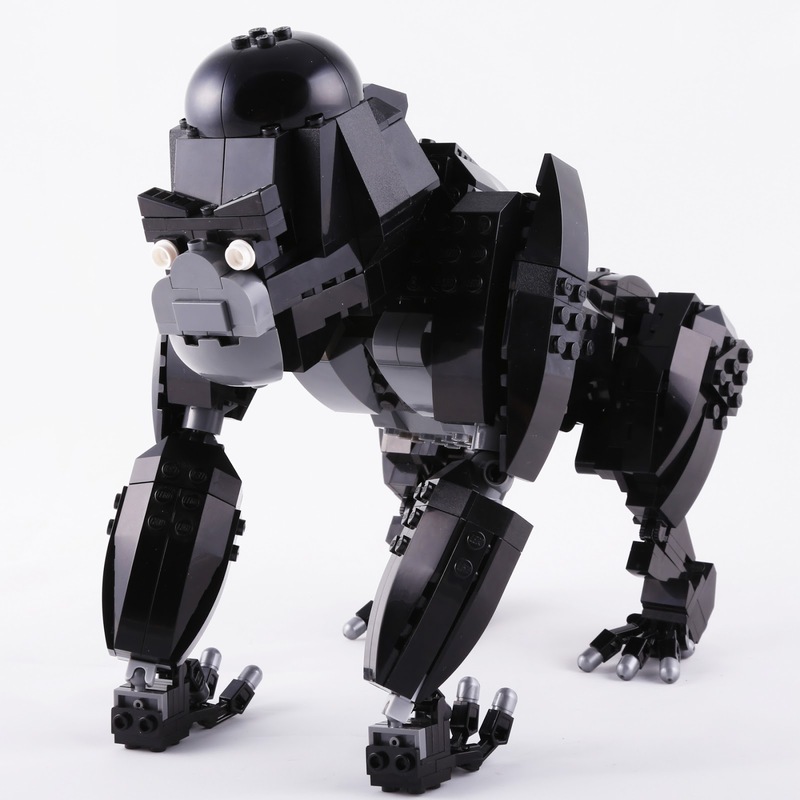 PS, my Lego King Kong project is also still seeking support on Ideas, I'd be delighted if you could support and share that project too! Due out later this year, alongside the release of The Battle of the Five Armies, the final film in The Hobbit trilogy, will be The Lonely Mountain. The set centers on Smaug and his occupation of the dwarf mines. 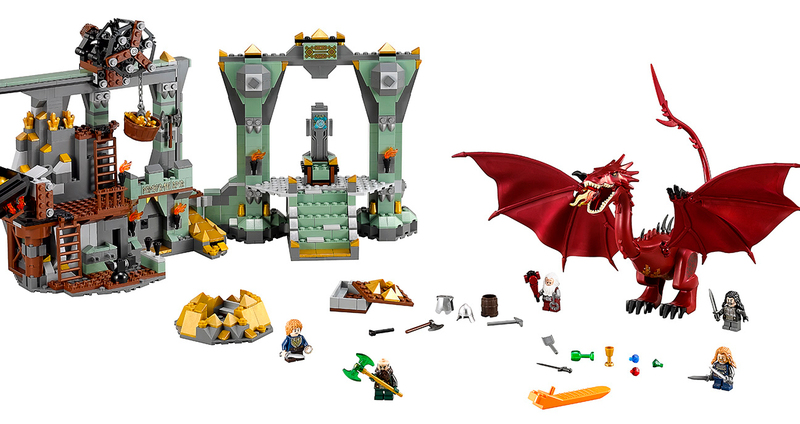 As well the dragon the 866-piece set includes Bilbo Baggins, Balin, Dwalin, Ori, and Gloin (via The Hollywood Reporter). Due next year will be the Wookiee Gunship from Star Wars Rebels. It comes with a trio of Wookies, and the Jedi Kanan Jarrus. (vis MTV). Also due early next year is 76025 Green Lantern vs Sinestro, the latest addition to the DC Super Heroes range. This set comes with, as the name implies, the Green Lantern, Sinestro, plus a cool white-space-suited Batman. The ship here has lots of transparent green parts, and that little clip thing at the bottom of the image apparently spring launches Batman into flight (via Kotaku). Announced a few days ago, there's the huge UCS Tumbler set, due out in September. You can see lots of images, and a designer video, in my previous report. There's also the promise of a new 2015 The Lego Movie set being revealed. Yahoo Movies have posted a small image showing Batman, Angrykitty with a Micro Manager and robot skeleton. Presumably these items will all accompany some other creation though, so I expect here's more news to come on this set. 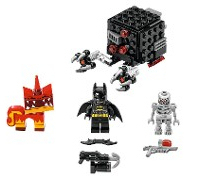 UPDATE: FBTB have confirmed this is in fact the full extent of the set, which is called 70817 Batman and Super Angry Kitty Attack. As well as sets you can buy, Lego are also showing of lots of different display pieces at the San Diego Comic Con this week. 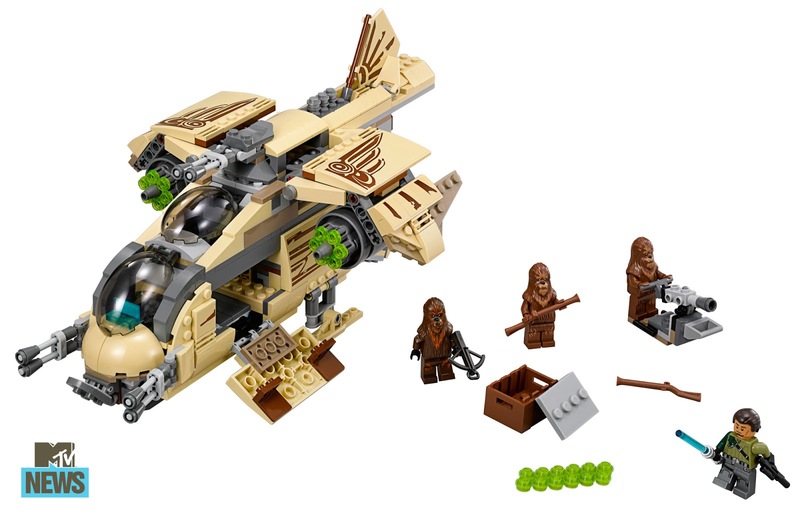 Lego have announced several different sets which are available exclusively at the San Diego Comic Con this week. 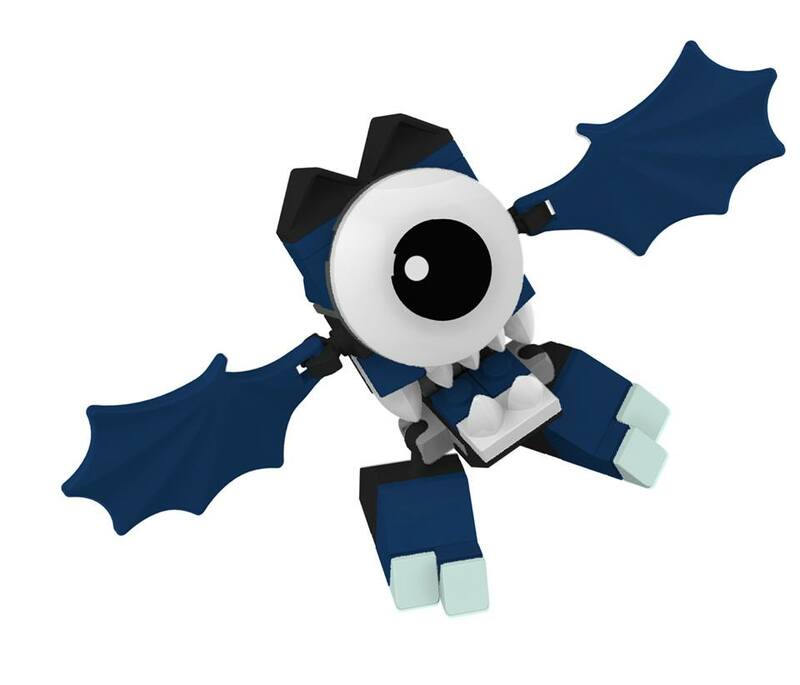 There will also be a number of minifigures that will on offer in a raffles throughout the event, or for those not attending, via a twitter raffle (follow @LEGO_Group for that). The Collect, from Guardians of the Galaxy. Bard the Bowman, from The Hobbit. 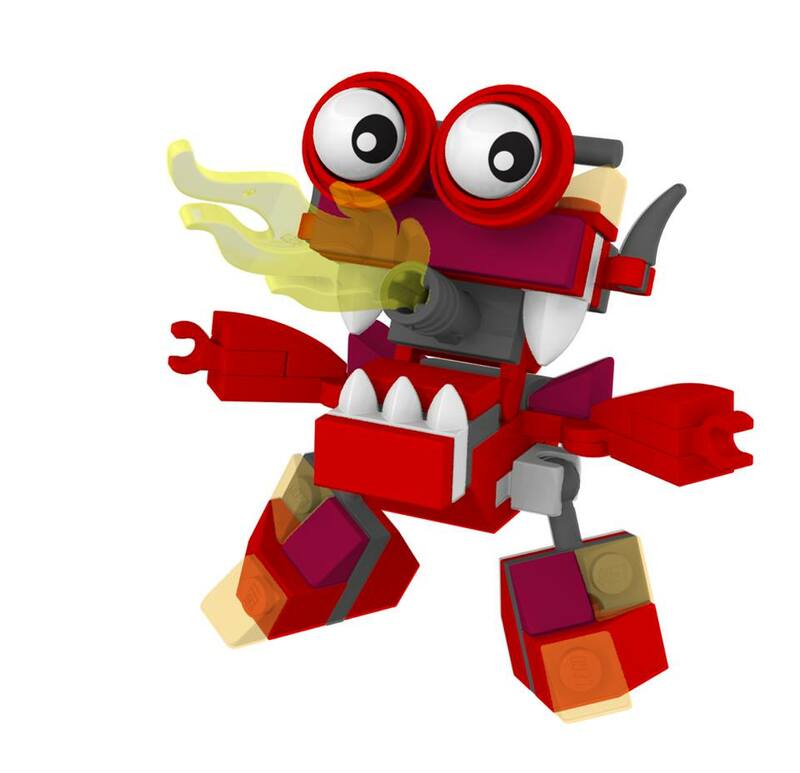 Unikitty from The Lego Movie, with “Cuteskitty” to “Cheerkitty” faces. In 1997 an atypical wave hit the container ship Tokio Express, and sixty-two containers tumbled into the see off the coast of Cornwall as a result. One of those containers held almost five million pieces of Lego, on their way to New York! 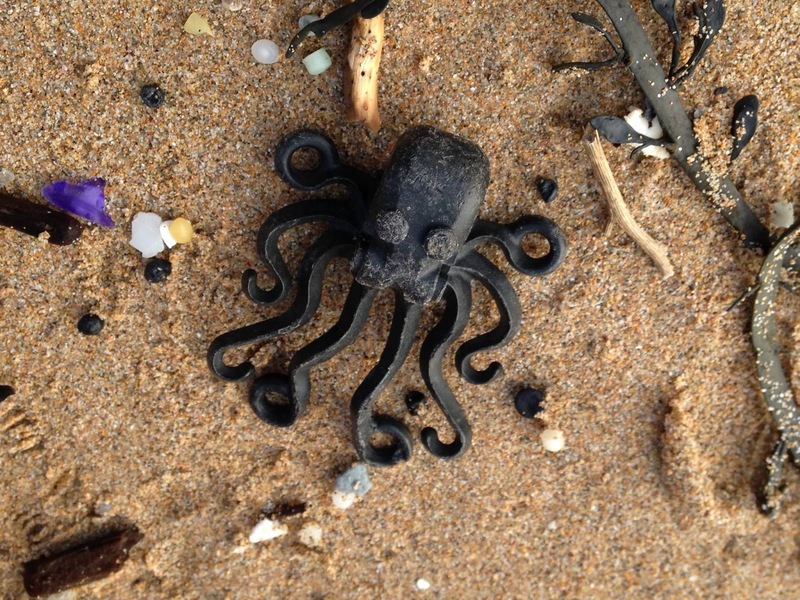 As the BBC have reported, Lego has been washing up on nearby shores ever since, and an enthusiastic Lego-finding beach-comber, Tracey Williams, has set up a Facebook page to record findings. 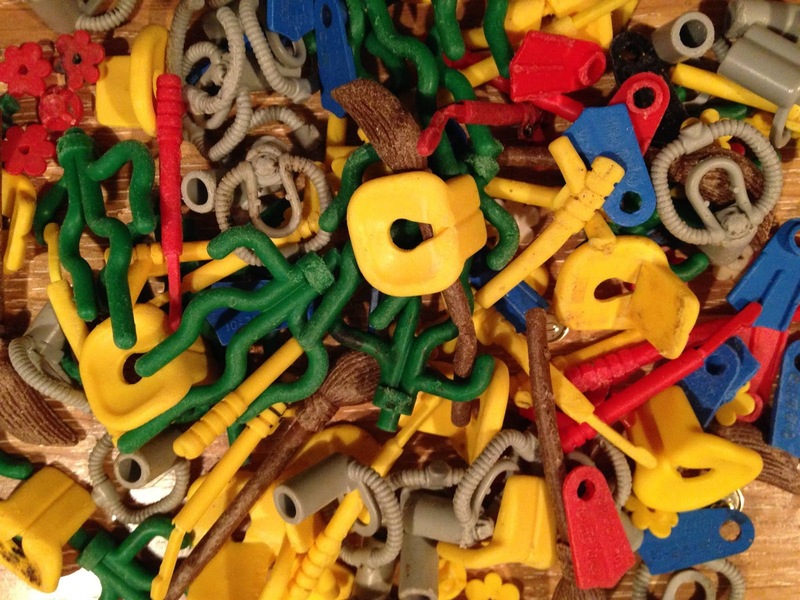 Delightfully, the majority of the pieces seem to have come from the Divers theme (one of my all time favourites), meaning lots of nautical elements are being found on the beaches. There are also quite a lot of Fright Knight elements to be found, and apparently dragons and octopuses are considered highlights. As fun as this is for Lego hunters, it's also just a small part of the the massive amount of human rubbish clogging up our seas. In addition to hundreds of containers falling off boats every year, all manner of junk ends up in the oceans, most notably huge quantities of plastics, which don't biodegrade. Indeed there's so much plastic in the world now it's become a "normal" part of the mix in sand on beaches, and is even forming a new type of rock, which will mark the human age of pollution long into the future. 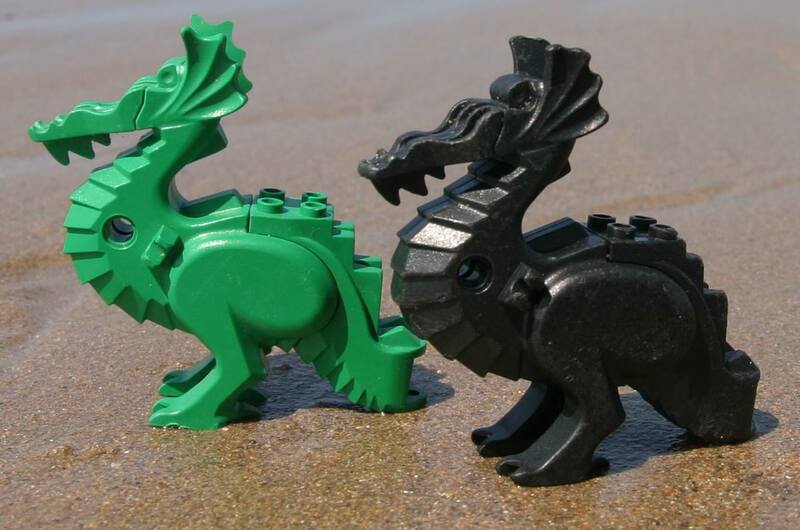 So if you're near Cornwall, go and find some Lego, and help keep that pesky plastic out of the environment! Lego Ideas King Kong update: New hands! I have started work improving the model for my King Kong Lego Ideas project. I decided to kick things off by improving his hands. 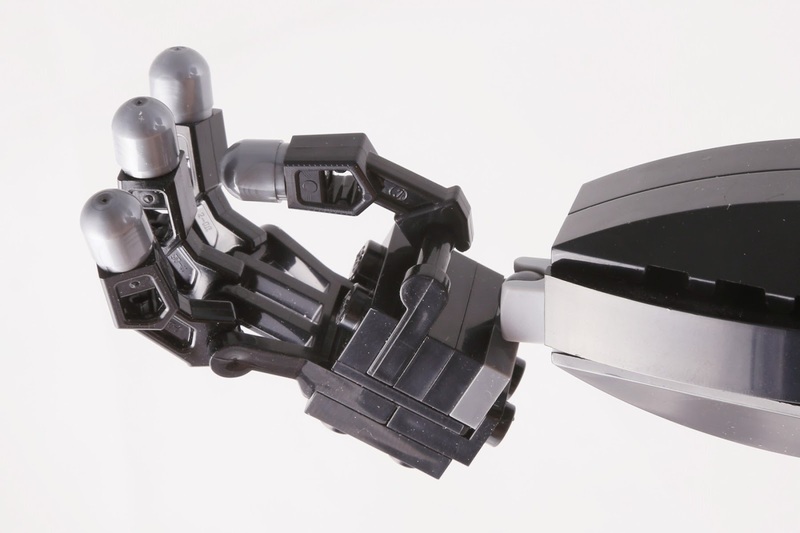 This was motivated by the wrist connection being a weak point in the model, and the new ball-and-socket joints introduced this year offering a new way to connect the hand. 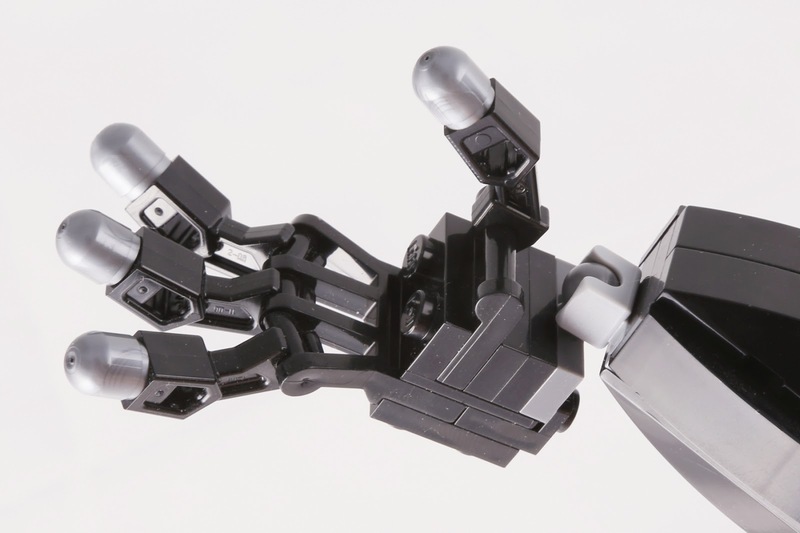 The new hand uses the ball joints, which alas are not available in black, so don't blend in seamlessly. I also redesigned the entire hand assembly, using two SNOT-plates to hold together many of the elements together in a sort sandwich, making a much more stable body part. This also allowed me to set the part holding the thumb on slightly further back, so the thumb now closes into the palm of the hand better. I also switched out the finger elements from the parts I had used a pen to make black (as the part is not available in black) to the grey colour the part is now available in, which more or less matches other "fleshy" bits of the model. 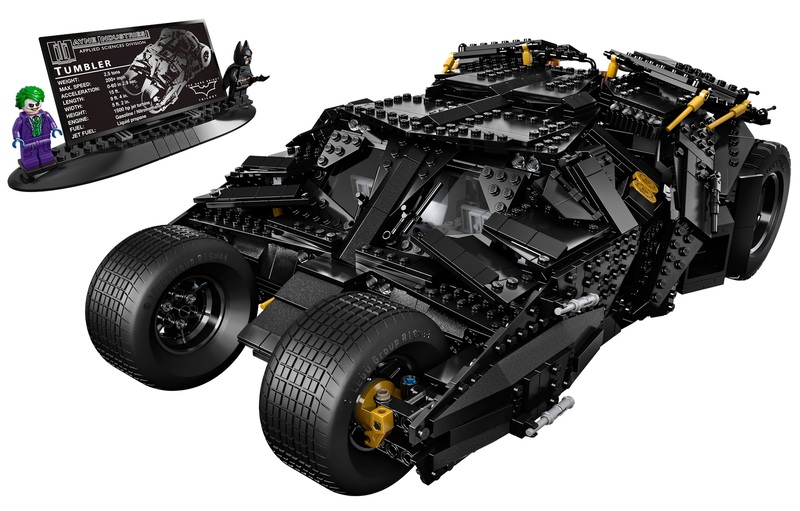 Measuring 15 inches tall and 9 inches wide, the LEGO Tumbler has an armored exterior, adjustable wings, a detailed interior (with a console screen that reads "INTIMIDATE") and oversized rubber-tread tires. It also comes with a fact sheet about the vehicle from the movies. 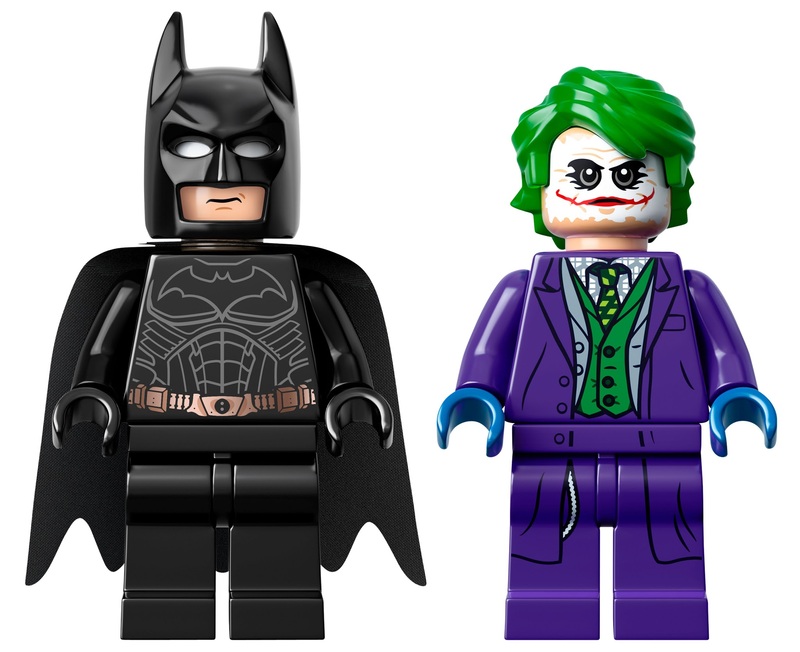 To satisfy minifigure collectors, the set will also include Batman and Joker minifigures. 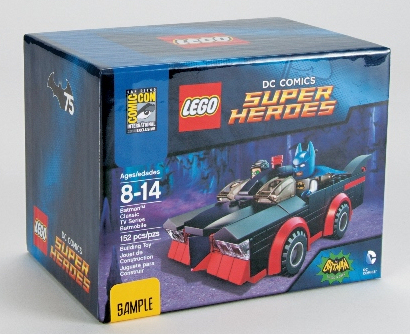 This will be the first UCS release since the launch of Lego's Super Heroes range, the multi-franchise spanning theme based on both DC and Marvel properties - Although it is preceded by the earlier stand-alone Batman theme, which included a UCS Batmobile. Another project has passed the ten-thousand supporter mark, so now a Ultimate Collector Series AT-AT walker awaits consideration from the Lego Ideas review board. This has to be one of the biggest projects ever to get through to the review stage, and for that reason alone I think it's chances are slim. Another Star Wars UCS proposal, a Jawa Sandcrawler, has already tried, and failed, to get through the review. 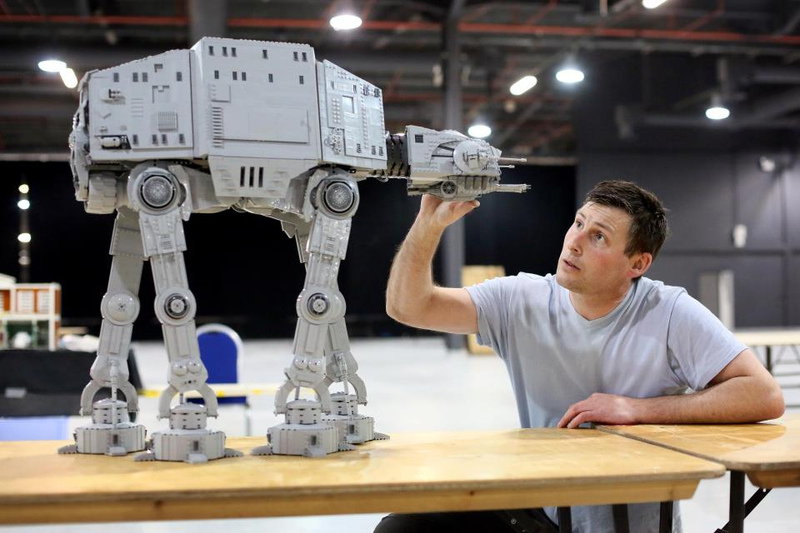 I think the AT-AT walker is arguably a much more iconic design (certainly a more interesting one! ), but that could also be a limiting factor - Many Star Wars projects have got to review, but none have so far been produced as an Ideas set. I think the only chance a Star Wars project has on Ideas is something very creative, that wouldn't be likely to already have been considered by Lego for production as a set (such as the brick-build lightsaber props project, which is also awaiting review). The AT-AT walker has been released many times by Lego already, and while it is an obvious candidate for UCS treatment, I'm sure all that means is Lego have already thought about it and have it on some to-do list for future sets. The project design is none-the-less very impressive. You can see more of it in the creator, Peter Brookdale (aka Cavegod)'s Flickr gallery. 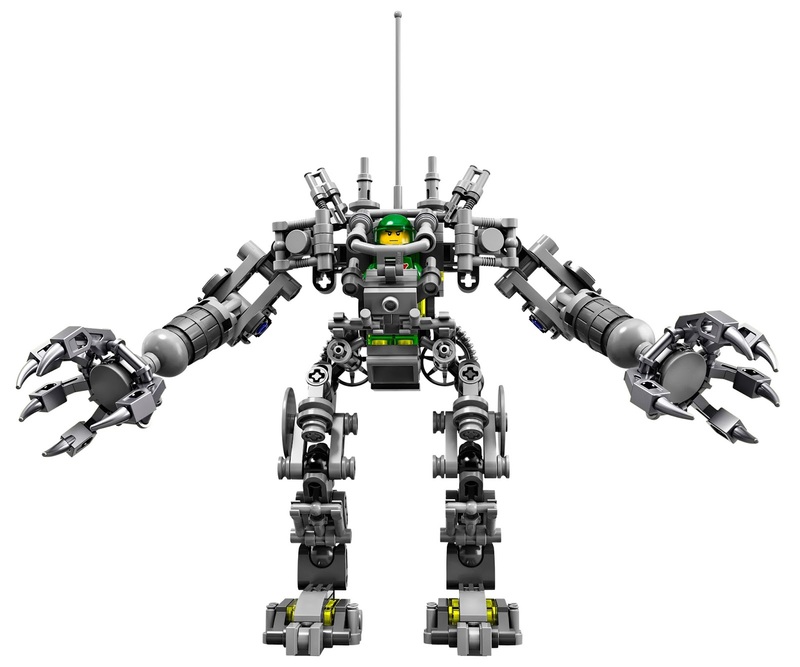 Due out in August is another Lego Ideas set, 21110 Research Institute. 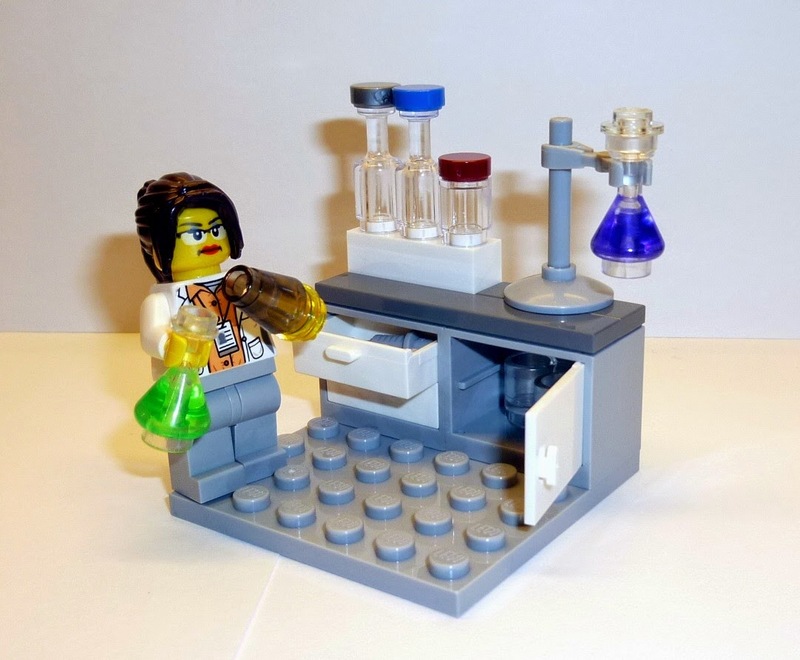 Known at the project stage as the Female Minifigure Set, this build demonstrates women in science. 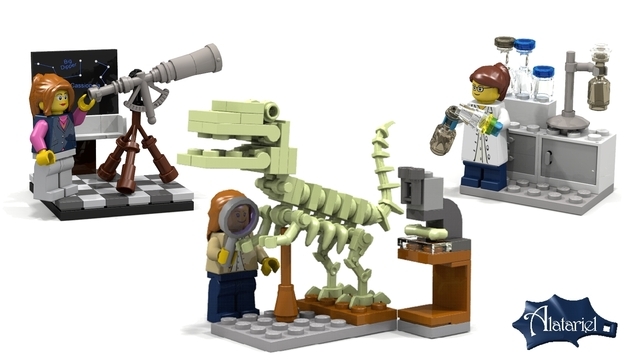 Ahead of the release, Lego have updated their image servers, with the official images of the set, showing us the palaeontologist, astronomer, and chemist, in action. 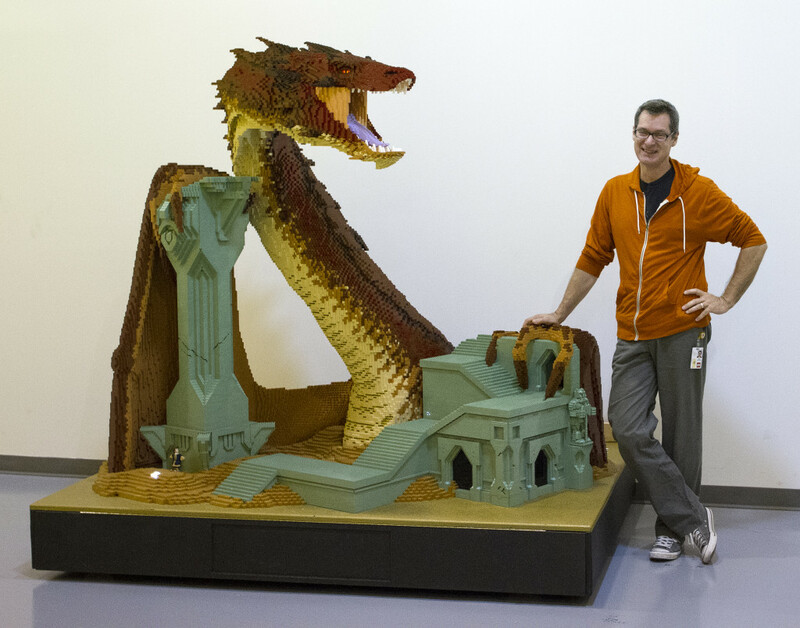 For a look behind the scenes of this set, check out the recent Lego Ideas blog post, with a report of a visit by the project creator, Ellen Kooijman, to the Lego offices. 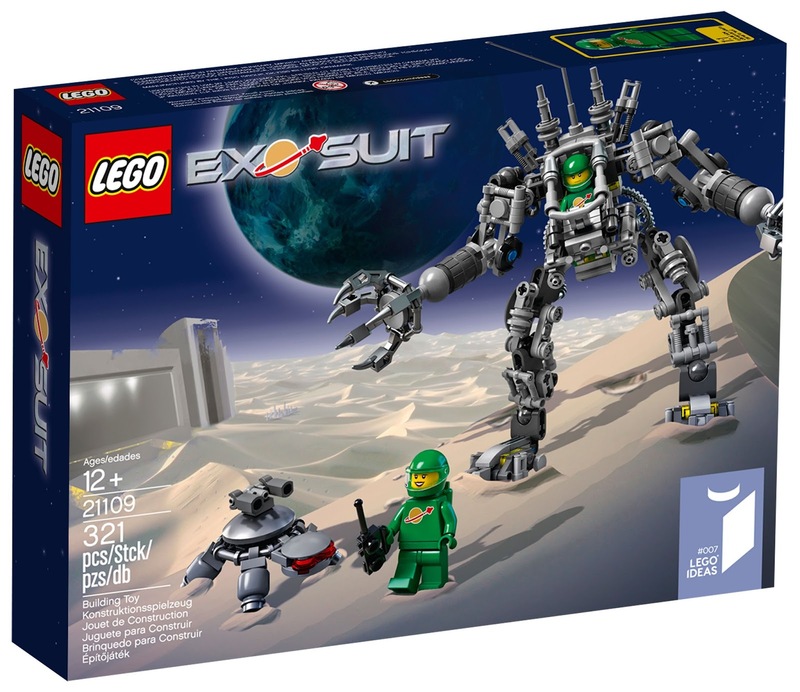 Lego have updated their image servers with official images of the forthcoming Lego Ideas set 21109 Exo-Suit. 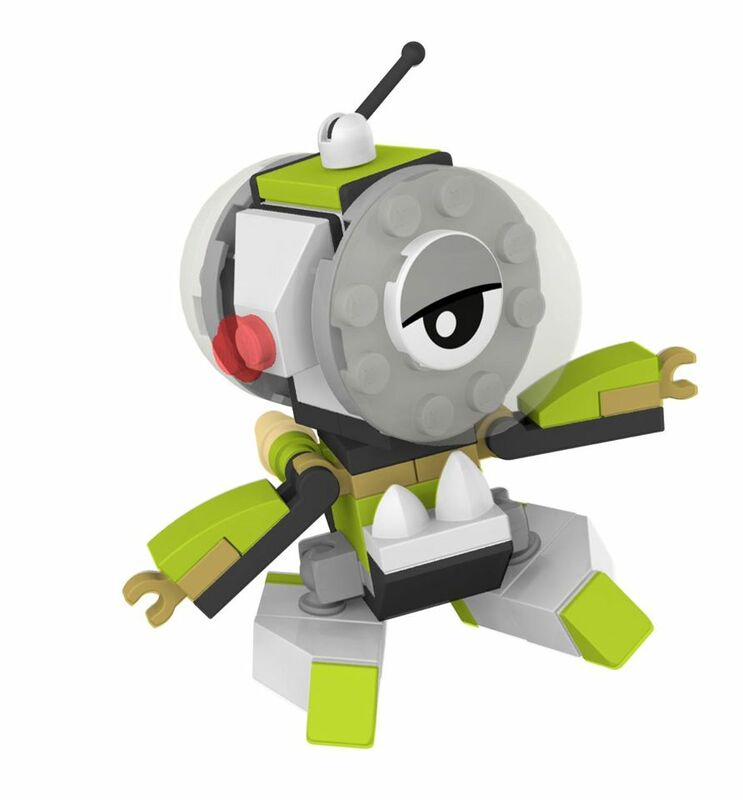 Those include the box, front and back views of the suit, and a close-up of one of the new green space minifigures. The images continue below, and for more on this Ideas project, check out the latest post on the Ideas blog, which looks at the development of the set from the original proposed model, to the final version pictured here. 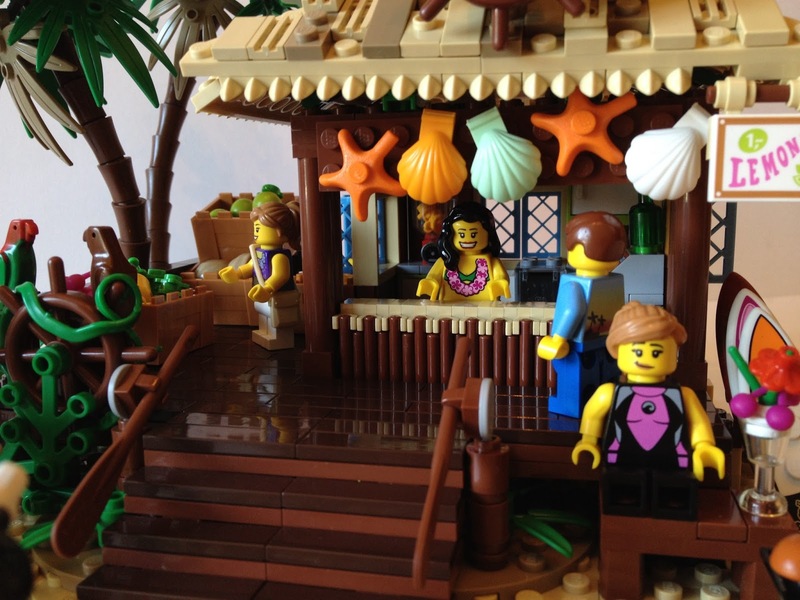 Here's a cracking little new project from Lego Ideas, a Tropical Beach Hut. The proposed set is bursting with quirky details, such as using ores as railings, and a wall of bars to make the front of the bar on the building. It's also packed with wildlife, with loads of animals and lovely dense foliage. 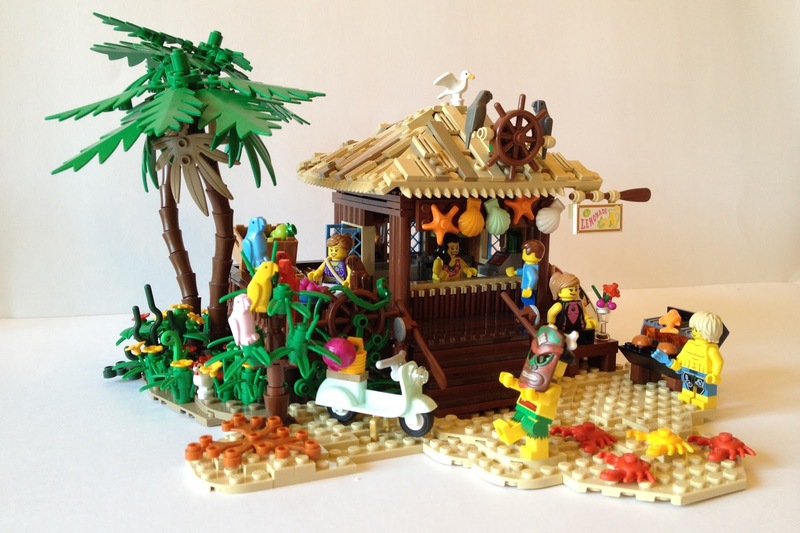 The set makes excellent use of some of the parts from recent Friends sets, to add lots of tropical fruit and lovely bright colours to a well-worn and well-loved little beach retreat. I think this would make a great set, so I hope you'll join me in supporting it too. 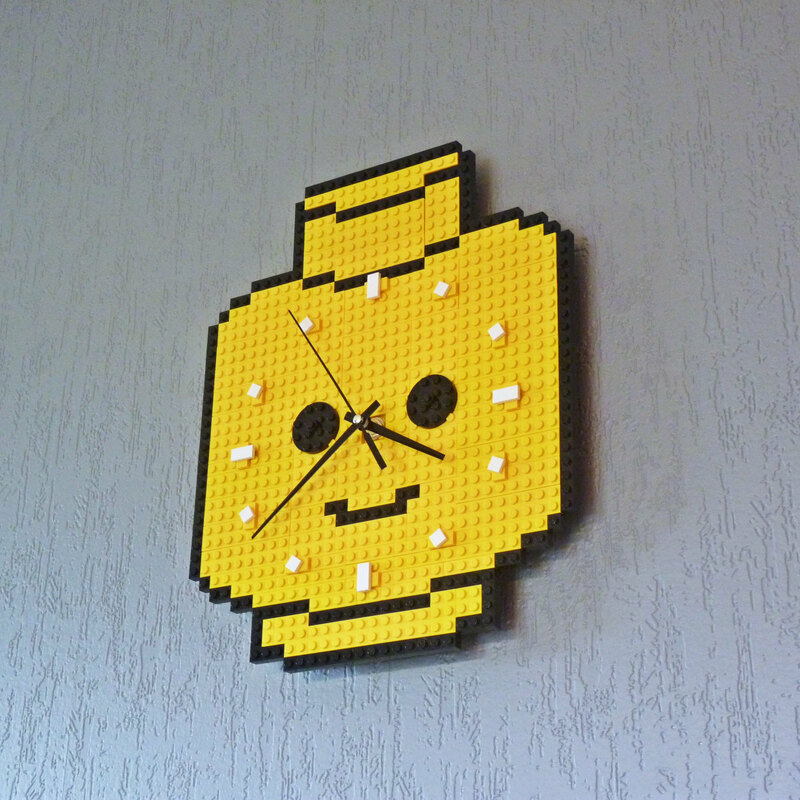 Here's a cool creation from Etsy creator Jean-Philippe Lannoy, a Lego minifigure-head clock, made from Lego, of course. 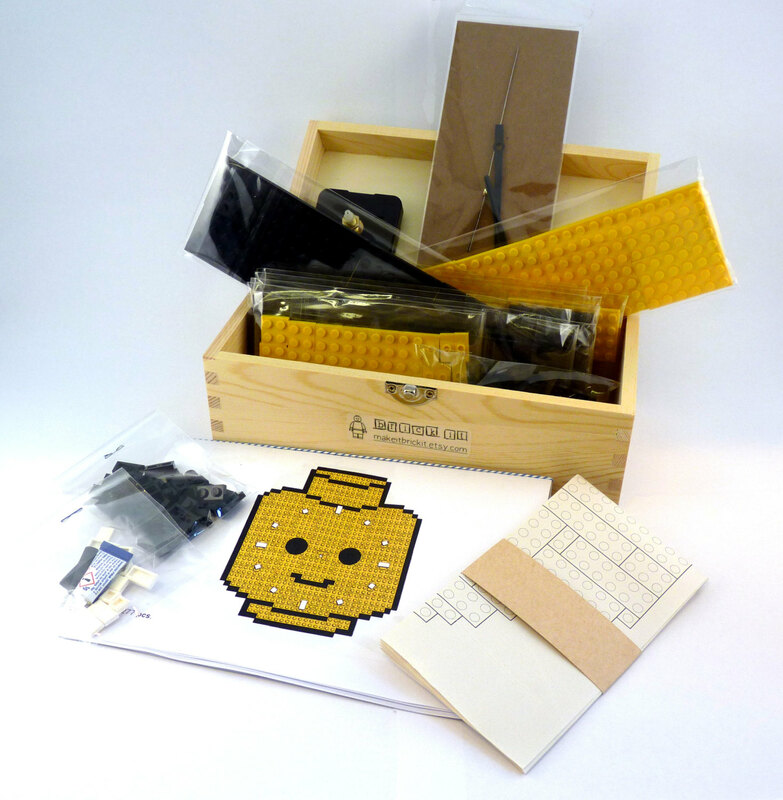 This is available now from Lannoy's Etsy story, MakeItBrickIt, where it can be bought either pre-assembled, or as a kit, complete with instructions, to built it yourself. Everything but the clock kit at the center is Lego, even the wall mounting! As you can see, the final set has maintained the overall character of the originally proposed design, but added in more robust joints, and slightly different detailing. In the past couple of days, the original project designer, Peter Reid, has been posting teaser images leading up to the reveal. You can find all those on his Flickr account, and a couple of my favourites after the jump, as well as screencaps from the above video to get a better look at the final design. The set is due to be released in August. 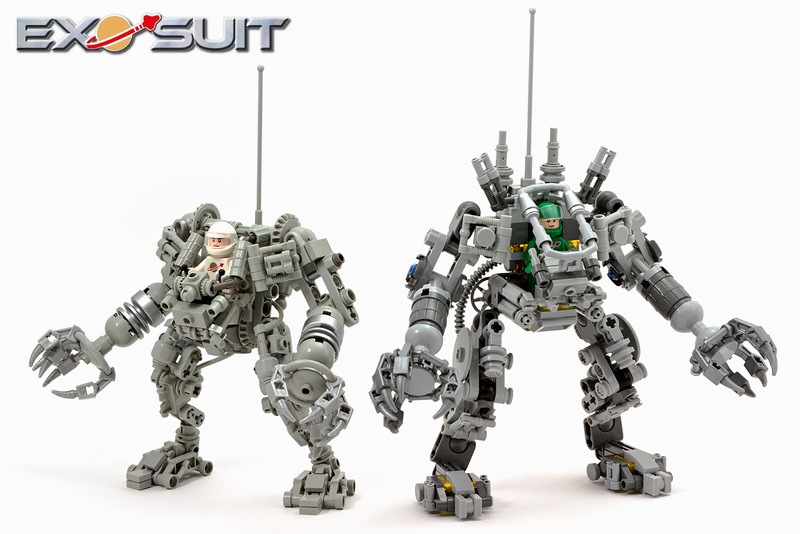 Alatariel Elensar, the creator of the forthcoming eighth Lego Ideas set, 21110 Research Institute, has posted an advanced review of the set, revealing its final form to the world. 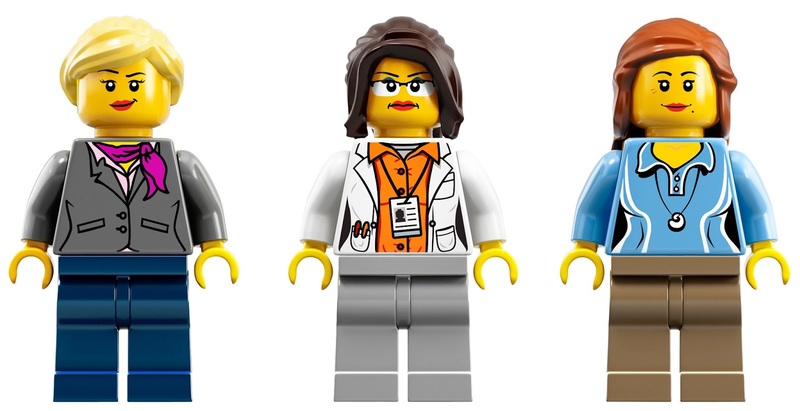 The original proposal for this set was a "Female Minifigure Set", Elensar proposed numerous vignettes demonstrating females in all sorts of roles, to help balance out the persistent inequality in the Lego world. As the proposal neared the ten thousand supporter mark it had to be narrowed down to a small selection; three of the more science based roles were chosen, hence the final set is a multi-disciplinary research institute. The final set has stayed remarkably close to the original vignette designs, with just a few minor refinements to polish them off. We get a palaeontologist with a fossilised T-Rex to study, an astronomer with a big telescope, and a chemist with her lab. You can see more photos, and Elensar's thoughts on the final set, in her review. While not their main focus, Lego does quite a good job of representing science in at least some forms, be that astronauts or exotic expeditions. Plus of course many of the previous Ideas/Cuusoo sets have been inspired by real world scientific devices. 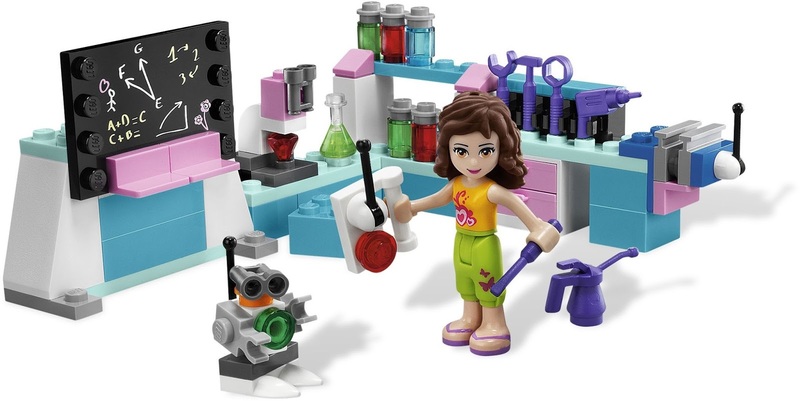 The closest comparison I can think of to this lab environment is one of the first Friends sets (and one of the least stereotypical roles for the Friends girls), 3933 Olivia's Invention Workshop. While that was a nice little set, I'm very happy to have a female scientist (or indeed several) that doesn't have to live in a pink world!